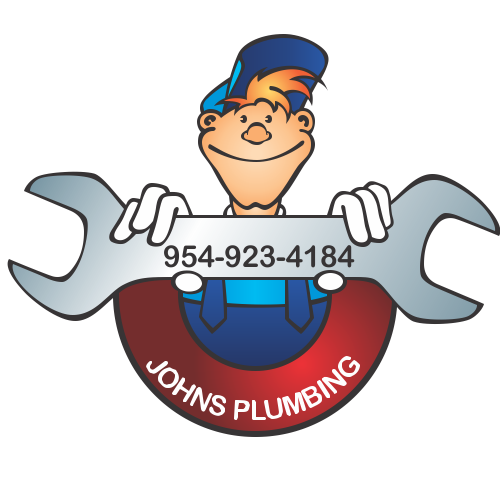 Cheap and convenient plumbing services in Dania Beach, FL, can be found with the friendly, dedicated plumbers at John's Plumbing. Since 1984, our team has been a licensed, bonded, and insured source for repairs and remodeling projects. Our services include guaranteed workmanship and never include hidden fees. Call today for your FREE estimate on any repair or remodeling project. 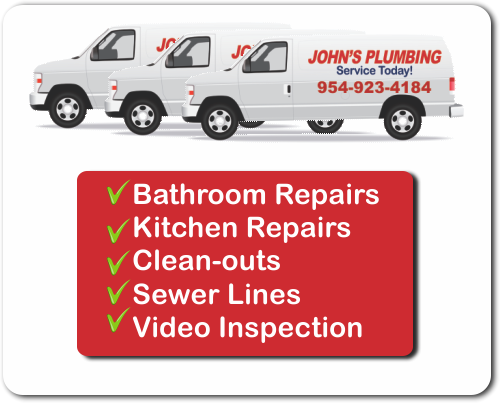 Plumbing Services Dania Beach FL - Johns Plumbing - Our Plumbers Are Ready To Help You! It can be tempting to try out your own repair when you suspect a leak is minor, however, disaster could be looming when you taking things into your own hands. John's Plumbing is licensed, bonded, and insured to help you choose the most non-invasive method for leak detection and repair. When it comes to drain cleaning or replacements, we can offer cost-effective prices with no hassle. 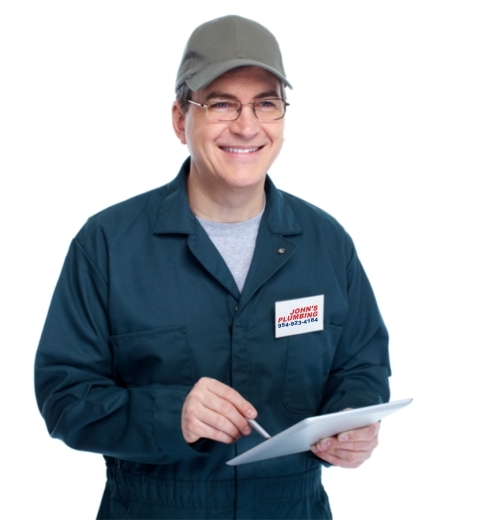 Our same-day service is ideal for urgent repair needs, open 365 days of the year for 24-hour plumbing assistance. Our plumbing services for Dania Beach, FL, are always on-time and in-budget. A helping hand can make a major difference, especially when that helping hand is licensed and certified to provide repairs for backflow prevention systems, sewer lines, broken pipelines, and more. Call our plumbing services in Dania Beach, FL, for an ultra-modern kitchen remodel and get your estimate.